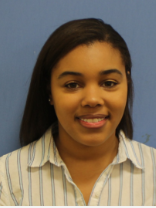 Kamron Sanders was recently hired as the Center for Service-Learning & Community Engagement’s new program assistant. She will manage existing programs or create new programming that engages students and faculty with the community through service-learning. A native of Jeffersonville, Ind., Sanders obtained her B.A. in journalism with a concentration in public relations from IUPUI in 2017. Sanders has had experience managing content across multiple channels, event management and marketing. What’s your favorite thing about your job so far? Limited time at my desk! I love staying busy and being out in the community. What do you like about UIndy? The campus feels very connected. Everyone I’ve met has been very friendly and helpful. Exploring new locations/restaurants in Indianapolis and surrounding communities. Bru, The Eagle, Pure Eatery, Core Life, and Bakersfield.